All You Need When Comparing And Finding Exceptional > Orthodontists! With a large number of orthodontists to choose from, you may feel choosing an orthodontist is as easy as opening the phone book or doing a quick Internet search for an orthodontist. Care must be taken when choosing a professional of this type as you want to ensure the patient gets the best care available at all times. A good place to start your search is with the American Association of Orthodontists or look for an Angle Orthodontist. When it comes to orthodontist braces for you or your child, you want to ensure you get someone who makes the experience a good one in every respect. When you go to find an orthodontist, be sure to look for one trained in the latest methods and devices, such as Invisalign. Newer technologies significantly improve the experience and may even reduce treatment time or the number of appointments needed. Invisalign is a good example of this and many patients are surprised to learn that Invisalign costs are similar to those seen with traditional metal braces. The orthodontist should care for both children and adults because, if a situation arises where another family member needs this type of work, you won’t need to find a new provider. In addition, the orthodontist should make you feel at ease and the same is true of his or her staff. Everyone working in the office needs to be professional at all times. Orthodontists are not all alike. Your child is probably dreading the entire experience, but this doesn’t have to be the case. When you choose an orthodontist with an office that is fun to visit, the child will look forward to regular visits. Try to avoid choosing an orthodontist who makes the child wait in the waiting room for extended periods of time and look for one who offers options when it comes to braces. Of course, you want an orthodontist who isn’t going to hurt your child! Don’t hesitate to visit a number of orthodontists before you actually choose one to care for you or your child. Pay attention to the atmosphere as mentioned above and meet with the orthodontist to decide if you feel comfortable with him or her. Don’t hesitate to talk to patients in the waiting room to get a feel for the practice. Do not select an orthodontist until both you and your child are comfortable because this relationship will last a year or more. You don’t want to switch orthodontists (More Info) in middle of the treatment process. 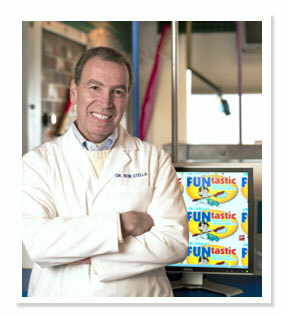 Countless patients in the Long Beach area choose Dr. Bob Stella and his team at FUNtastic Dental for orthodontics. 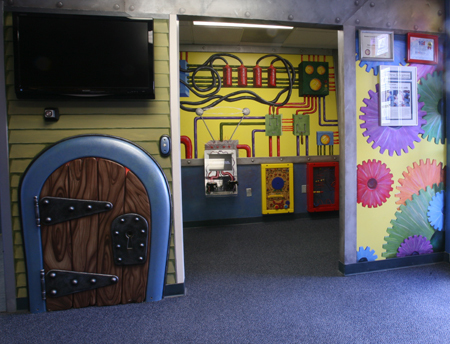 When you visit this office, you will see that he has created a fun dental theme park, one that children look forward to visiting. There’s even a sugar free candy store for kids and a cavity free club where children can win a bike by taking good care of their teeth. Dr. Stella sees adults also and the entire experience is virtually pain free. You should never have to wait when you visit the dentist and patients who find they must wait at FUNtastic Dental and Orthodontics get a $50 credit on their bill. The goal is 100 percent satisfaction at all times. Stop by this incredible orthodontist’s office and see for yourself!